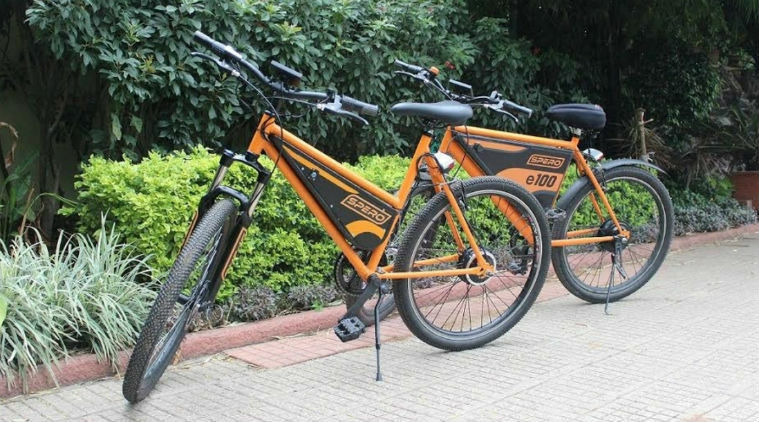 SPERO: India’s First Crowdfunded eco-friendly Electric Bike Launched in Bangalore :- India’s first crowdfunded eco-friendly ebike – Spero has been unloaded in the country for the first time. The bike is the designed by a Coimbatore-based 38-year old man named Manikandan. He has been working on this amazing project for 3 yrs and is now all set to unload 3 models of his dynamic ebike in India. Manikandan raised funds for his innovative invention on Fueladream.com – a Bengaluru- based crowdfunding program. Beyond just funding this design, the people who have endowed the framework have the choice of purchasing the e-bike throughFueladream. Spero will be capable of driving 30 km on a single charge, with the battery charging as the cyclist pedals. Models that can go 60 km and 100 km are also super handy. The bike can go from 0-25 kmph in 10 seconds and is furnished with 5 gears in electric mode. Spero is professed to be built with a sophisticated mix of easily available sourced elements and local ingenuity, & key imported parts – The powerhouse (Battery) comes from Samsung, the engine and the tyre come from associates in Korea. The Spero ebike has now raised Rs 9.6 lakh out of its Rs 30 lakh pursuit. All 3 designs of the bike will be handy on pre-order and will cost from Rs 29,900 to Rs 50,900 (40 percent economical price than it would market with eventually). Spero is supported by 48V Li-ion removable battery that comes with a 1-year warranty and will be refilled using 5A socket charger from 20 to 80 percent in 4 hours. Other attracting specifications include cruise control, battery charge indicator and a digital speed display. It is available in three attractive colors- orange, black and blue. Also, has three mileage variants that are 30, 60 and 100. Hope you liked the info and are excited about the super dynamic India’s first ebike launch. Stay tuned for more info. You can share your views in the comment section below also, don’t forget to share it on social accounts.